In our years of travel we’ve tried out loads of too-flimsy or too-bulky power adapters, and have always been hungry to find the one plug that could do it all without weighing us down. It’s the key travel gadget that makes all other travel gadgets possible. 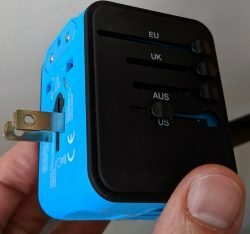 Sure, you can stop at any electronics store or airport shop before an international flight, and grab a set of plug adapters that will be just fine. But they’ll also just cost you a lot more than you need to spend and they’ll take up unnecessary space in your bag. If you take a moment to order the right one online before you go, you’ll travel just a bit lighter and better. We use and recommend the Nierbo, but there are other very similar options out there, including: the SZROBOY Travel Adapter, JMFONE Travel Adapter and the Ougrand Travel Adapter Plug. You can compare prices on Amazon via these three links. We’d go for the Nierbo however since it stands out with the lifetime warranty and auto-resetting fuse. 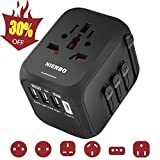 All of them are compact, well-made, and basically accept any plug; they’re even useful for handling two- to three- prong conversions in the United States, or some of the funkier plugs I’ve come across in Brazil, Russia, and Italy. Do You Need to Convert Voltage? — For most travellers, probably not! Originally published: Sept. 14, 2017. Completely re-written with our latest recommendation on June 17, 2018. Added the Truton on April 14, 2019. Once again completely re-written on April 16-17, 2019. 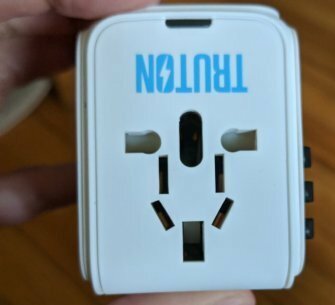 With the Nierbo plug adapter we can go anywhere with a single adapter — and change our minds on the fly about which countries to visit without having to pick up new adapters for our electronics. Here’s why this is currently our top choice over the other plug adapters and adapter sets we’ve tried (there have been quite a few). Compact: We travel very light (with only a wheeled carry-on/backpack) so a whole set of adapters like you often see in airports would mean lots of unwanted bulk when compared to a simple universal solution. A lot of (otherwise good) tech recommendation sites fall down on this issue by recommending expensive and unnecessarily bulky adapter sets like this one. On the side of the Nierbo you can plug in your USB devices as well as your newer USB-C smartphone. I no longer travel with my phone’s original charger thanks to this. Ready for anywhere: Plans change; the best trips send you on unexpected, corkscrew paths. With an all-in-one adapter you’re ready to meet any outlet in any country. 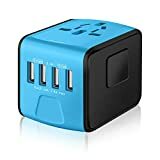 And, if you should happen to purchase devices with strange plugs in these foreign lands, this power adapter allows you to still use them when you get back home, as it accepts all foreign plugs and can convert them to your home power outlets. Charge multiple devices at one outlet: Most people now travel with multiple devices (headphones, tablets, Kindles, toothbrushes, etc. 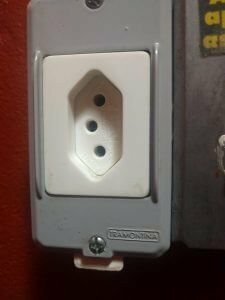 ), but outlets can be in short supply, especially in non-traditional lodgings like homestays or in remote parts of the world. 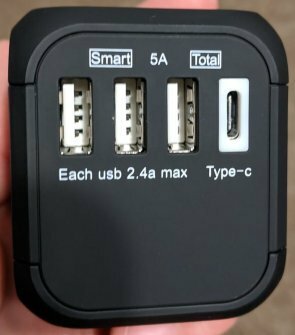 It’s a lifesaver to be able to plug in both a regular wall plug while simultaneously charging four USB-devices from a single outlet. Also, I’ve had neighbors in planes or coffeeshops be quite grateful that this adapter allowed us to share an outlet and charge several phones. Has fast-charging USB-C: If you already use USB-C devices, this adapter means that you can leave a USB-C power converter at home, since that’s included. But even if you don’t yet use USB-C, there’s a good chance that you will in the future as the newer phones and such generally use the new standard. We tried the Nierbo with a Google Pixel phone via USB-C and it was able to charge to 50% in 30 minutes. 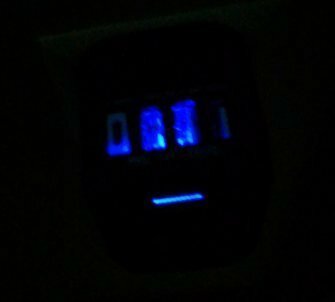 There is a safety fuse in the Nierbo, and unlike similar competitors, the fuse is auto-resetting, meaning that you don’t have to replace it if you should blow it out. The Nierbo adapter accepts any input voltage that you might find: 100-250V. It should not be used with high-power appliances (over 1500W, see below). 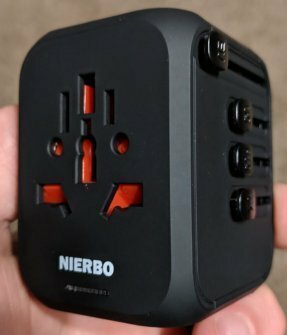 The Nierbo travel adapter is fine for computers (laptops, tablets) and electronics (Android phones, Apple phones, etc.). But it has a maximum of support for 1500W/250V~6A and shouldn’t be used with hair dryers for example that go beyond that. For more power in a similar product, go for this high power universal adapter (but note that it costs a bit more and lacks USB-C). 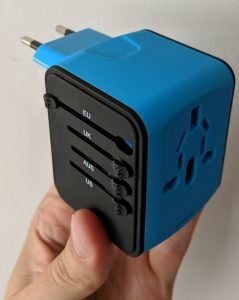 While the Nierbo travel adapter can simultaneously power one device via a traditional wall plug and four USB devices, we’d love to find such a small adapter that could take two or three standard wall plugs. Unfortunately, for that feature, you have to step up to something bulkier. While this is the smallest, lightest full-featured universal plug adapter that we’ve found, I’d personally love to see something even smaller. Our resident product designer tells us that this is where companies would run up against regulatory limitations however. 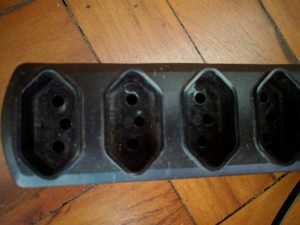 All of the various universal plug adapters mentioned at top work in pretty much the same way. You plug whatever cable you have into the holes on the front end, and you extend out the prongs you need on the other end using the selecter levels on the side. Here’s the adjustments of one of them, the Szroboy. 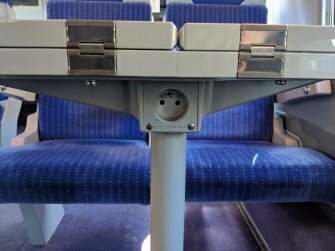 Here’s an example of an outlet I encountered on a train in France. 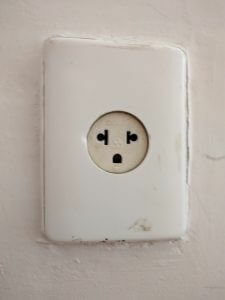 And here are a couple of outlets I ran across in Brazil. It was nice to be prepared for everything there. 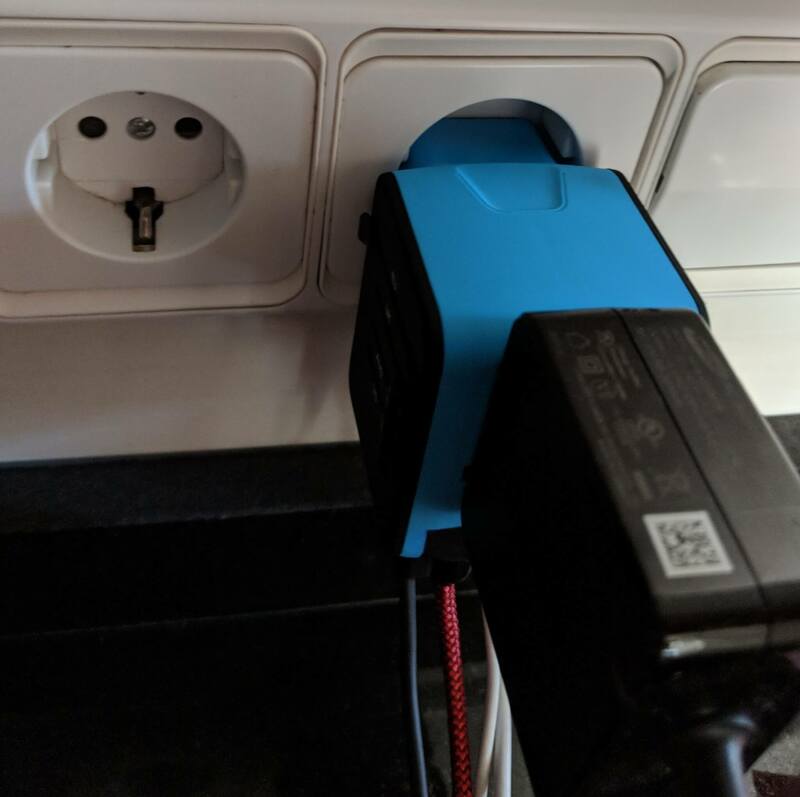 So yes, you could buy a specific adapter for the country you’re going to, but in some places you really can’t know what to expect and it’s easier to just have a universal travel adapter. Note that plug adapters do not convert voltage; in the unlikely event that you need to step up or step down for a specific piece of electronics (for example, from 110 volts to 220 volts), you instead need to carry a heavier voltage converter like this. 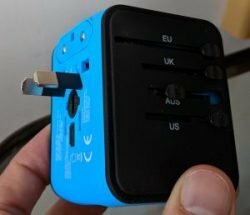 But first take a good look at the fine print on your electronics’ plugs before buying a voltage converter to see what voltages it actually accepts (and you can compare that with the specific voltage and frequencies for the country you’re travelling to). 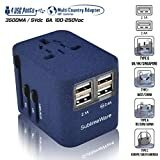 You’ll find that most smaller consumer electronics items like laptops, mobile phones, and even hair dryers sold today say something like “100-240V ~ 50-60Hz”; this means that they accept anything from 100 to 240 volts and from 50 to 60 Hz — to put it simply, they work in Europe, America, Asia, anywhere. 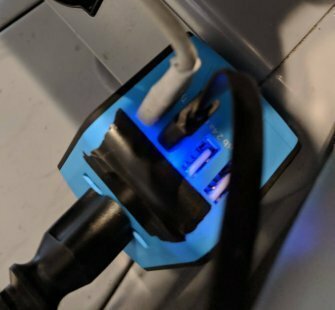 If, as is most likely, your devices accept a range of voltages that include the voltage of the place you are travelling to, you don’t need a voltage converter, just a plug adapter like the ones we’re recommending in this article. 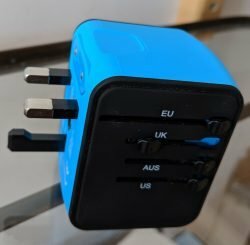 We previously recommended the SZROBOY Travel Adapter and it still works great after more than a year on the road. The main issue was that the function light was too bright for my tastes and sometimes disturbed my sleep in hotel rooms. I covered it with electric tape (as shown at right). The Nierbo that we now recommend has a bit of a glow at night but not so much that it causes problems. We also changed our recommendation to the Nierbo due to its self-resetting fuse and lifetime warranty. 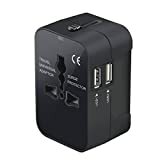 But if you want to comparison shop further, as mentioned at top, the JMFONE Travel Adapter and Ougrand Travel Adapter Plug are quite similar products at similar prices. 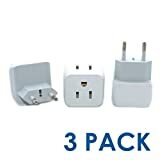 We update this post from time to time if there is a new product worth recommending; but if you want to see what’s hot right now on this very day, you can check the automated list below of the top selling similar plug adapters on Amazon. It’s possible you’ll find something that more specifically suits your needs. All-in-one Adapter with Fuse protect, Built-in Safety Shutters, LED Power Indicator. We have also tested the Truton Universal Travel Power Adapter that was sent to us recently by the manufacturer. It’s got a nice matte-white finish and the same features as our top pick, but it failed to trigger USB-C fast charging on most of the devices that we tested it with, including a Google Pixel 2 phone. So if you use fast-charging USB-C devices (or plan to), we wouldn’t recommend the Truton over the others. 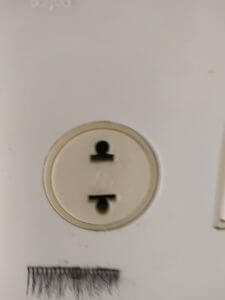 The most convenient solution that we’ve found for converting pretty much any plug for any outlet, anywhere. As of this writing it was in stock and eligible for Amazon Prime members’ free two-day shipping. i need a univeral adaptor that works in egypt. please let me know your recommendation. None of the ones you sight mention egypt. With our recommendation above you’re covered for Egypt of course!